At least 30 children were killed in an air raid conducted by the Afghan government last month, according to a United Nations investigation released Monday. The April 2 attack was supposed to go after senior Taliban leaders believed to be in the Dasht-e-Archi district of Kunduz province. To carry out the attack, Afghan Air Force helicopters launched multiple rockets and heavy machine gun artillery at an open-air religious ceremony next to a madrassa where hundreds of men and boys were gathered. The attack resulted in 107 verified casualties, including 36 killed and 71 injured, according to the United Nations Assistance Mission in Afghanistan. Most of the casualties were children; 30 were killed and 51 were injured. "[T]he timing and place of the attack, which occurred during a religious ceremony attended by hundreds of people, cannot be reconciled with the Government's obligations under international humanitarian law to take all feasible measures to spare civilians and civilian objects from the harm of conflict, or, at minimum, to minimize incidental loss of civilian life and damage to civilian property," UNAMA said in the report. Two days after the deadly attack, villagers protested the government's actions. But they were met with force from the Afghan National Police. 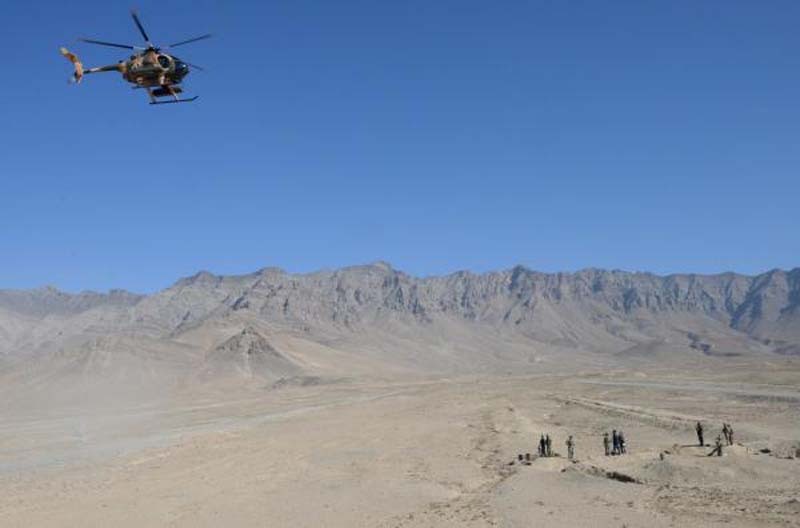 More casualties were reported but UNAMA said it could not verify numbers. Local religious leaders have threatened to discourage people from participating in upcoming elections if the government doesn't take responsibility for the April 2 attack. As the United States and Afghanistan government increases attacks on Taliban and Islamic State groups, civilian deaths have risen. Last year, UNAMA counted 3,438 civilian deaths and 7,015 injuries as a result from the ongoing conflict.